“Sweden’s bad vibes queen” and who, as a musician, is capable of creating compositions so vast and amazingly immersive that they swallow you whole – organ-led drone pieces that are like stepping into a dense moorland fog, only to be met with a soaring, surrounding vocal that somehow feels as enormous as it does contained. 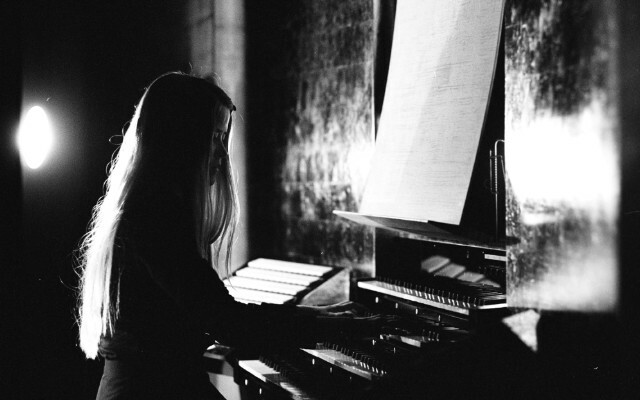 Whilst there is an overtly ‘dark’ tone to what Anna Von Hausswolff produces, often because of the naturally gloomy tone of the organ used – along with a propensity for using drone techniques to create funeral-like churns – it’s really only a surface level assumption (and largely inaccurate) to associate it with any inherent bleakness. You only have to look at ‘Mountains Crave’ from her 2013 album ‘Ceremony’ to see the sort of pop-tinged material she is capable of producing, or any number of moments on her latest record, which go from doom metal blasts to inspired, almost traditionally structured song craft. Her most recent album, ‘The Miraculous’, opens with a booming pipe organ, one that blasts like an angry foghorn, like a boat’s off-course warning signal as it sails towards an inevitable collision. The album, however, is not inspired by an impending sense of doom; it is more a sonic realisation of the power of nature, imagination and improvisation.